Lo-Lo Baby, available in Soft Vanilla, Lavender Dreams, and Plain and Simple has been a big hit among OBGYN staff, new moms, daycare personnel, and men over 60. A swipe on the diaper area, a bit for massage, or something to help with cradle cap we understand but why are men buying this? So we asked…we had to. And they told us. They are buying Lo-Lo Baby and using it for itch, heat, and chafing in their southern hemisphere. We pressed on with our somewhat awkward questions and we found out that while they loved Lo-Lo Baby, they wanted two things to be different, the label and a cooling element. Along came Southern Comfort. Don’t let the moustache on the label lead you think it’s only for men. Women are buying it as well. And yes, we asked. And we were told they're using it for the same reasons, through they used different words like, friction and rash. Southern Comfort is ideal for those that bike (pedal or motor), those that wear skirts and no pantyhose, and those that could just use some comfort in their Southern Hemisphere. Southern Comfort is for external use only. 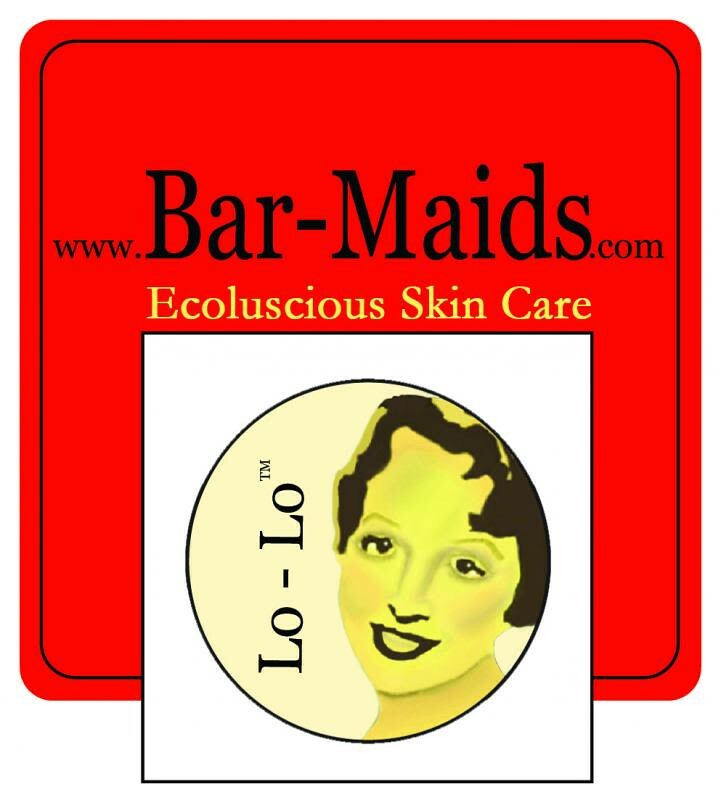 To buy local, visit www.bar-maids.com or purchase on-line. Jasmin has made progress on her We Need a Little Christmas sock from Lollipop Yarn for #operationsockdrawer. Gigi is knitting her 'Tis socks by Invictus Yarns toe up. Jasmin is knitting on the Pinky Promise by Lollipop Yarn socks, and on the Dark Side of the Moon socks, out of FabFunkyFibres. She also decided to try and finish Andrew's Baseball Jersey from Knits Men Want , and is doing undercover Christmas knitting on it. #podcasterthrowdown: Jasmin talked to Cascade Yarns, and they offered to cover shipping for the hats from the Santa Clara Convention Center to various cancer centers. Jasmin has cast on the "Measure of Love" hat for the throwdown, in Cascade Yarns Cash Vero. Also, Cascade Yarns is supporting our Head to Toe Project, where we knit preemie hats out of sock yarn for our local Neonatal Intensive Care Unit. We are working on putting a book together with patterns that our listeners contributed for a preemie hat contest a while ago. Gigi is working on her "Mostly Warmness" mitts. #Behm-along. German word for the day: Krippenspiel. We also mention the annual Purlescence Singalong. Gigi has been wearing socks and the Knitmore Cowl, and the Serpentine cowl, based on the Serpentine mitts by Miriam Felton. Jasmin has been wearing her Seneca, her Looped Loop cowl. Genevieve has been wearing her Gramps cardigan, her Love blanket (photo linked above), her Molly hat, a woven gingham scarf and the Abby cowl. We answer a question about backing buttons, and one about blocking swatches. Gigi frogged most of the Lorelei, and is now knitting happily on it. Jasmin's pattern for the Baseball Jersey sweater went missing, with the notes she had taken on it. Gigi ran out of yarn on the bind-off row of her Hitchhiker. Jasmin forgot how to knit toes on socks. Gigi couldn't figure out what she had done wrong on her ninth repeat of the pattern of the Leafwise. So she frogged it. This week we are purloining the 2013 recap of the Commuter Knitter's projects. We like the idea so much that we are going to keep tallies throughout the year. Or look it up in Ravelry. Pick the pattern/project you want to knit/crochet/spin. Jasmin's tip for the holidays: take your list, cut it in half, then cut it in half again. Then find something tasty to drink.